2010 Central PA Magazine "Hot List"
The June issue of Central PA Magazine featured the "Hot List" for 2010. Readers of Central PA Magazine voted for their favorite restaurants, shopping, theaters, artists, gift shops, retirement villages, medical practitioners, and outdoor venues for family fun. Pheasant Field B&B is honored to be at the top of the hot list of Bed & Breakfasts in the Leisure time options. 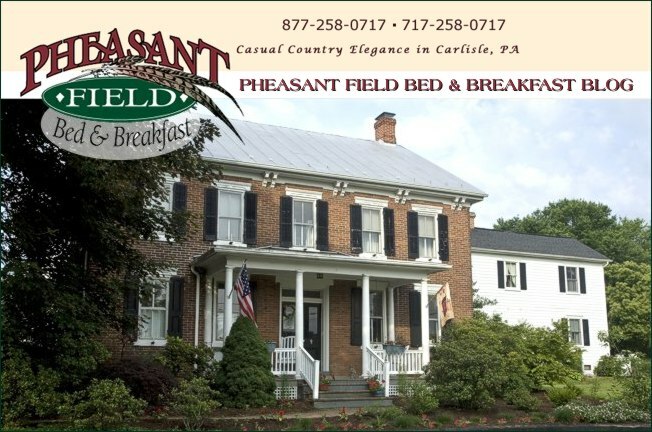 We thank all the readers of Central PA Magazine for supporting public broadcasting and for voting Pheasant Field B&B as a "hot" leisure venue!